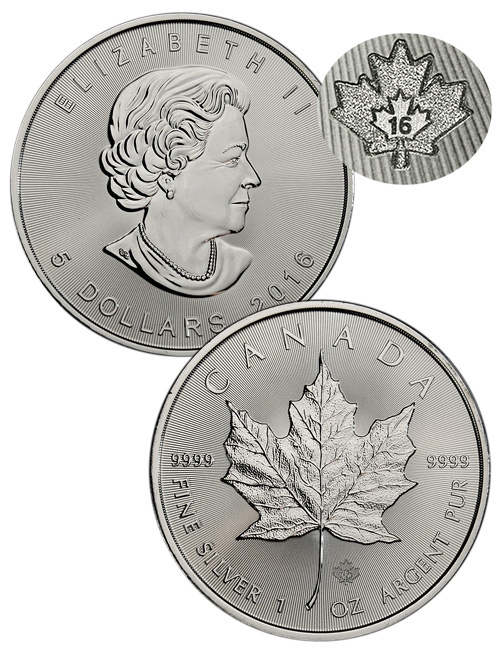 The reverse of the 2016 Canadian Silver Maple features the iconic Maple Leaf. Radial lines surround the leaf, which creates a unique pattern of light diffraction and gives the coin a recognizable shine. The inscribed lines and a tiny privy maple leaf near the stem engraved with the number “16” serve as enhanced security features. The Royal Canadian Mint began including these safety features in 2014. “CANADA,” “FINE SILVER 1 OZ ARGENT PUR” and “9999” are inscribed. The obverse is graced by the familiar portrait of Queen Elizabeth II. 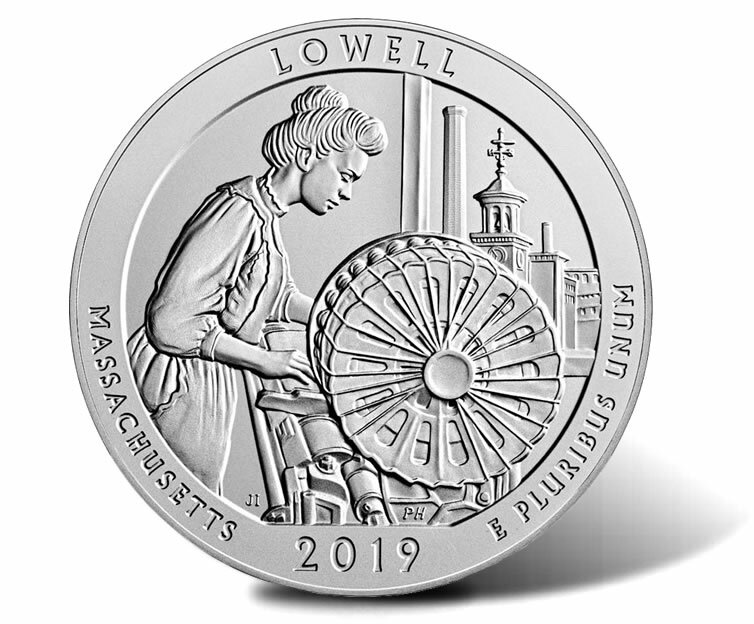 Radial lines and inscriptions of “ELIZABETH II,” “5 DOLLARS” and “2015” complete the design.